There’s definitely a chill in the air at the moment, isn’t there? And with the cold front set to stay for the next few months at least, it’s time to rummage through your wardrobe and check that you have everything you’re going to need to keep yourself warm and toasty throughout the cold spell. If you need to top up your winter clothing, now is the time to do it so that you can be sure that you’ll be snug through Christmas and beyond. You’re bound to need some knitwear. Whether it’s a couple of chunky cardigans or a lovely thick jumper that you can snuggle up in when it’s nippy, you can find some superb knitwear from George at ASDA that will leave you toasty without breaking the bank. Make sure you have a good pair of winter boots, too. While it’s tempting to pick up a cheaper pair, it may be worth investing in some that will last. Boots with a good grip will ensure that even in ice and snow, you won’t come a cropper, while fur-lined boots can help to keep the little piggies warm. Invest in a good quality pair that will suit all outfits (think blacks, greys or browns) and you won’t have to replace them next year! Warm and woolly accessories will help to keep extremities toasty – a nice chunky hat, gloves and scarf or snood will help to keep the chilly bite at bay. Ear muffs are also super cute and handy to have! A thick winter coat is also an essential piece of clothing that everyone should invest in – don’t worry about replacing this every year, a good coat can last for ages! A decent selection of jumpers and hoodies would be perfect – ones that you can throw on over a t-shirt underneath your winter jacket as an extra layer. Christmas prints are all the rage at the moment, with festive jumpers making their way into plenty of wardrobes already. Fancy jumping on the bandwagon? Onesies aren’t just for the ladies, you know! Take a look at some of the superb onesies available at ASDA for the guys too – you’ll be amazed at how snug and warm they are; perfect for a Sunday on the sofa. 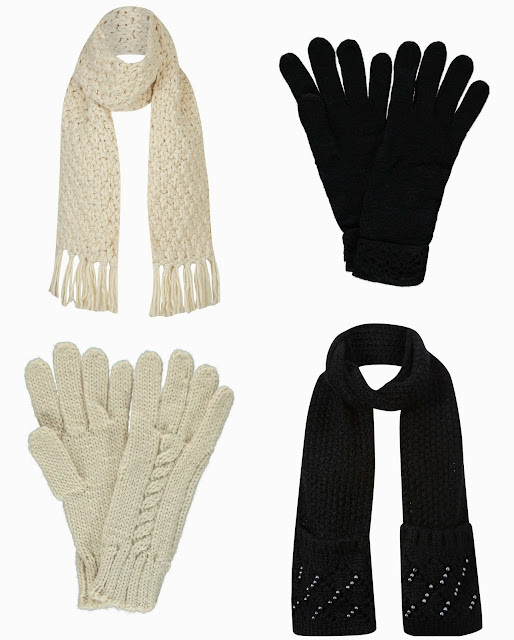 Similarly to the girls, hats, gloves and scarves are essential if you’re planning on going outside (which, inevitably, you’ll have to!) – simple colours would do the trick because they go with anything. A decent coat would also be ideal – if you’d prefer to have one coat that’s multipurpose, take a look at the ones found at in ski shops and outdoor pursuit stores. Many of these have zip up fleeces on the inside that can be used separately, while the waterproof outer would be perfect on a dull, rainy day. Wrap up warm and keep the cold at bay with a capsule winter wardrobe to be proud of – you don’t have to spend a fortune to update your clothing essentials, either! Do you ever buy anything from Asda? Do you like the selection of clothes from George? I definitely need a onesie this year!! I love the bunny jumper, so cute and different! George do so many great items, I get quite a few bits in there! I absolutely love George at Asda for quality, variety and affordability. 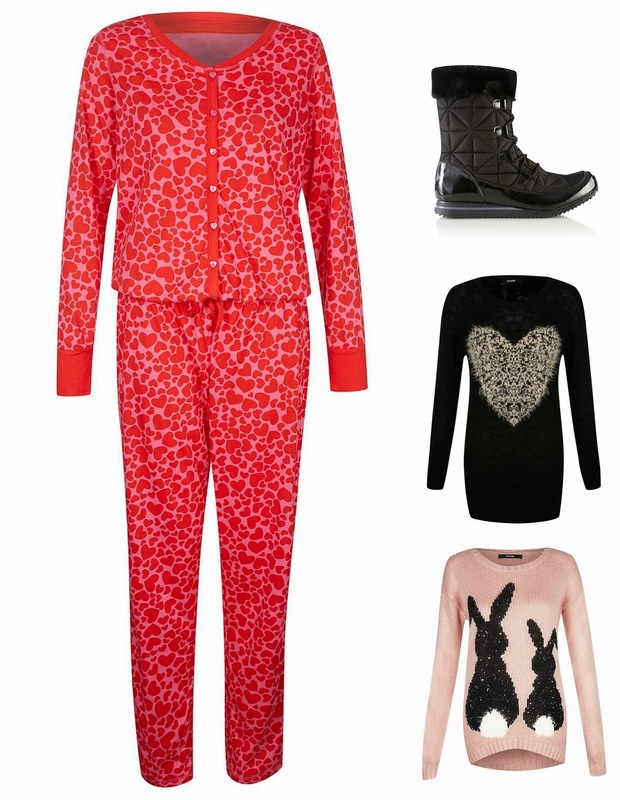 Your choice of knitwear is fab - the bunny and heart jumpers are so cute!